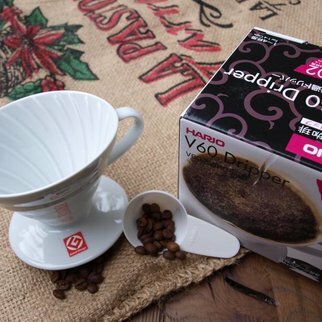 The Hario Paper Filter v60 porcelain coffee filters are ideal for the Hario suitable because of their tapered shape. 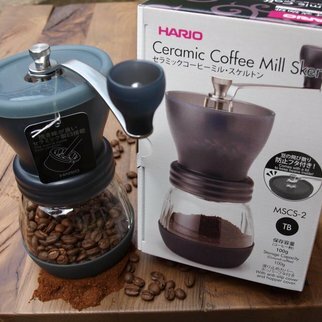 They are available in two sizes, the v60 porcelain filter 01 or 02 each fit for Hario. 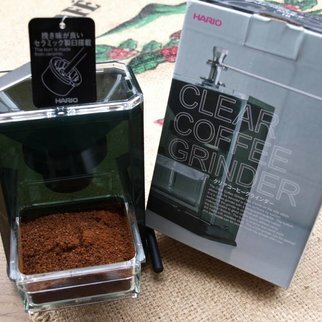 The very fine and high quality Japanese paper is bleached and are much less characteristic taste to the coffee water from, than all other conventional filters, we tested and which are available on the market. 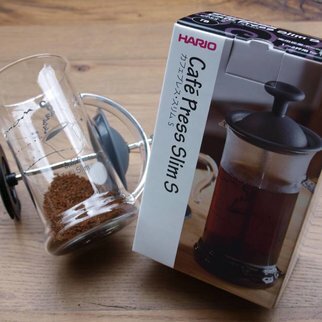 The Hario filter paper can be flavorings pass unhindered and binds the fats and oils contained in coffee. For pure coffee taste it is still important to rinse the filter before dispensing coffee with hot water. So an optimal filter coffee experience will be at hand! The Kaffeemanufaktur Schnibbe GmbH is a paradise for coffee lovers and gourmets. We invite you cordially on an exciting journey through the delicious world of fresh coffee. On our website you can put yourself in detail about our product line and learn all about the processing of coffee and cocoa from our roastery. Exquisite espresso beans, African coffee, as the Ethiopian wild coffee Bonga, house coffee blends and more, await you in our shop. Coffee lovers is already running at the mention together the mouth water. Dive into the fascinating world of high-quality, freshly roasted coffees and rummage through our offer. We offer you best artisan roasted, unmixed Arabica coffee, long time gently roasted by the drum roasting. We also offer a range of acute espresso coffee beans for you to try at our Espressomobil. We carry typical Italian espresso beans with nutty-chocolaty note, organic coffee beans from the Galapagos Islands or from Ethiopia. 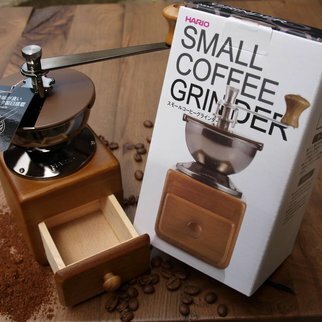 On request, we grind your coffee for your preparation. We are happy you personally available - for suggestions, praise or criticism we are always grateful. Visit us. In our shop in Bad Lauterberg and convince you on site by the quality of our coffee Here you can find out of coffee beans and other products, such as muscovado, a cane specifically for espresso or roasted cocoa beans. Hario V60 and other premium coffees, you can also get at Confiserie Weibler in Cremlingen / Braunschweig. W. TorstenPosted on 9 February 2018 at 15:11 Einfach perfekt!